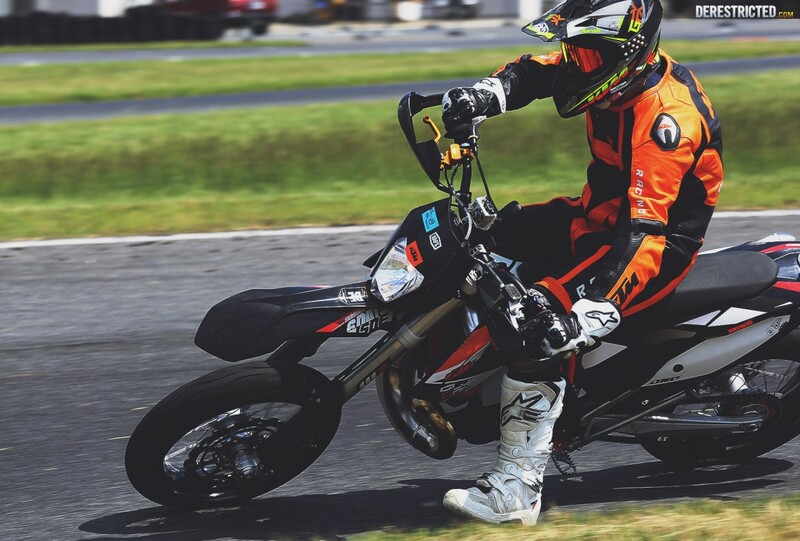 At Pannoniaring they have a small GoKart track which you can also ride supermoto on, so to finish off our trip we spent a few hours ripping around on it until a storm rolled in and stopped the fun. 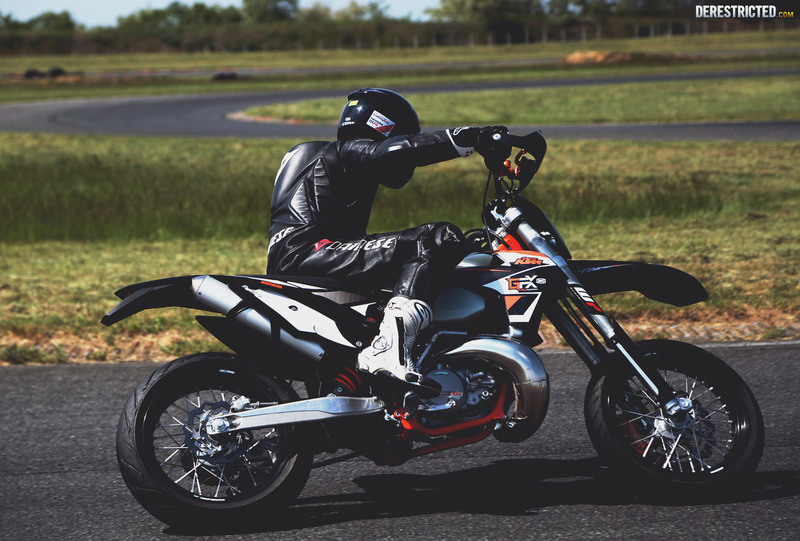 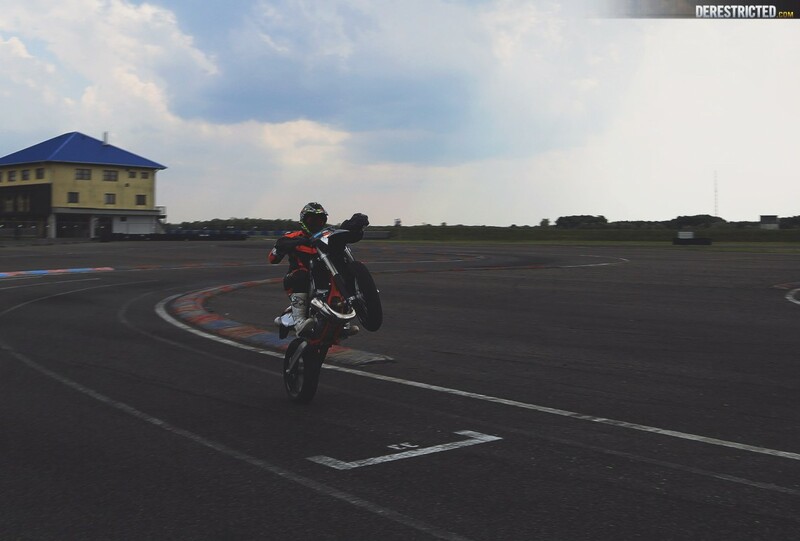 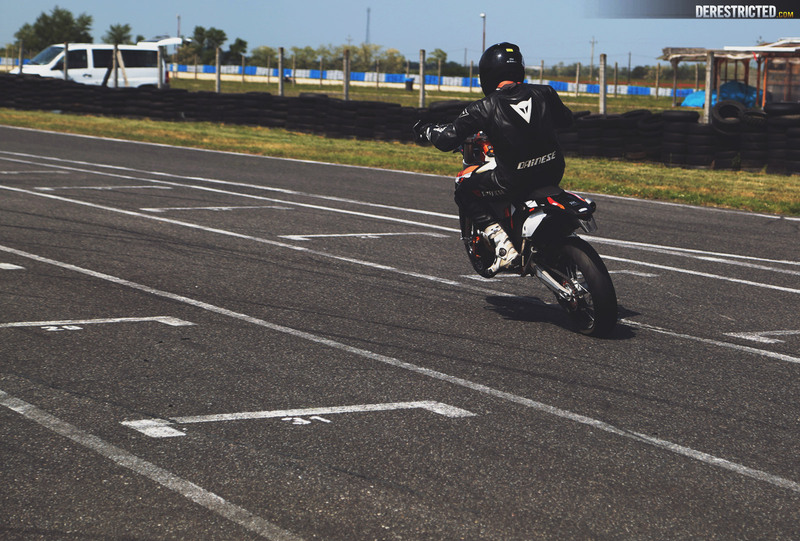 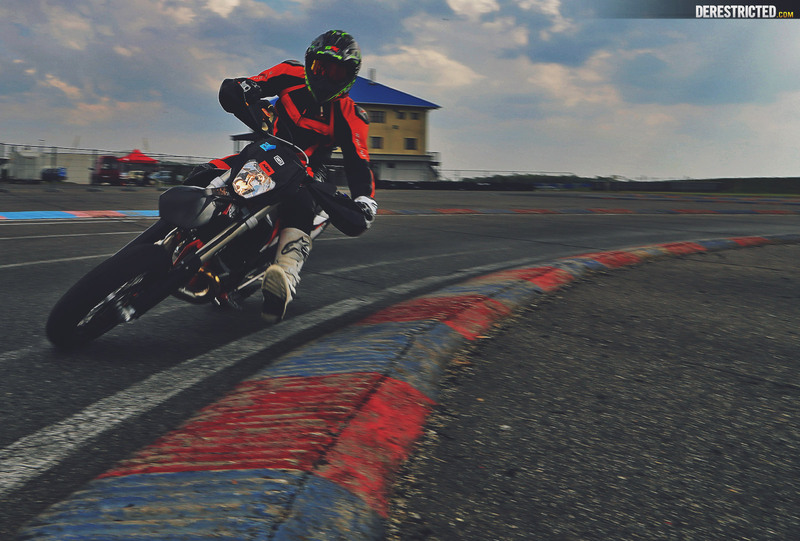 It was the first time either of us had ever been on a supermoto track and we were both loving it. 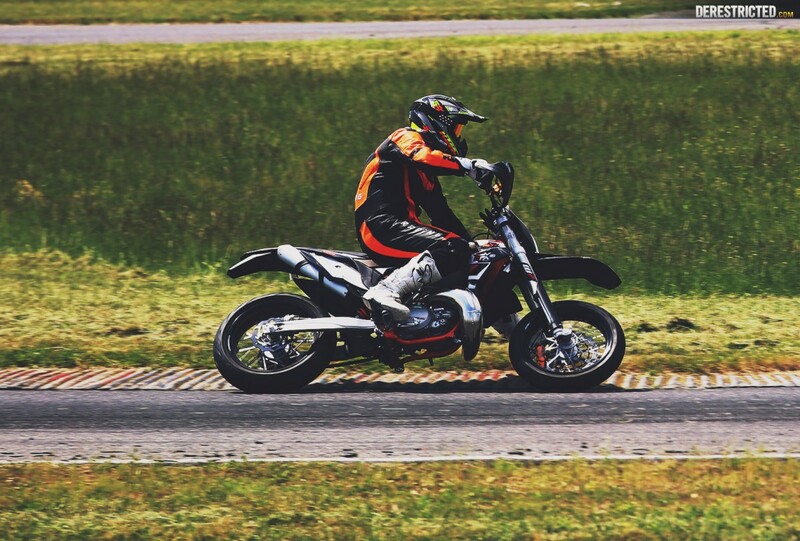 As fun as riding a 180hp superbike on the main track? 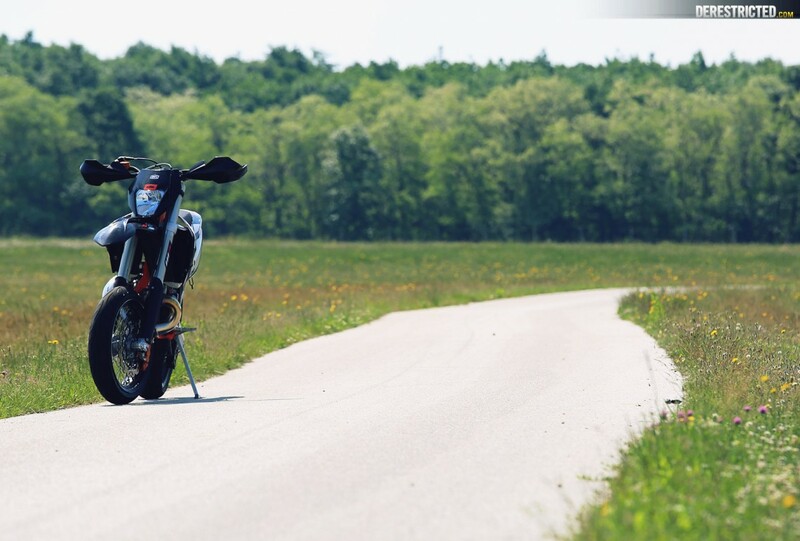 That’s like trying to decide what’s better between pizza or pasta! 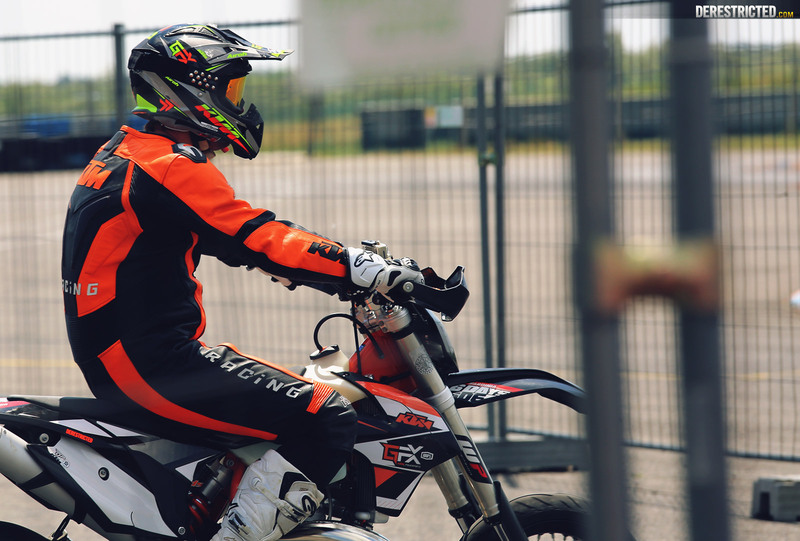 I would have really loved to have spent longer riding as I just started feeling better and better as the sessions went on but as soon as the rain started it got a little hectic! 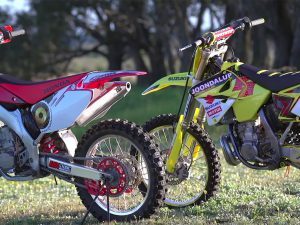 The little 250 EXC 2 stroke is a whippet in the tight turns. 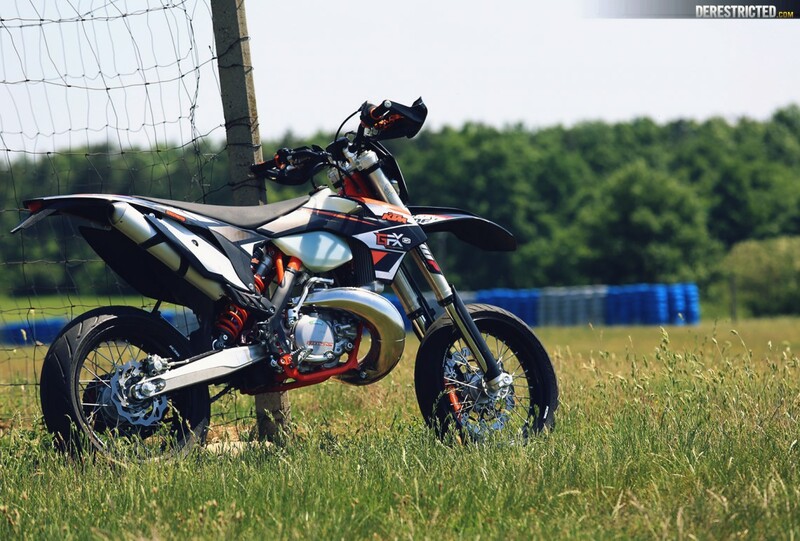 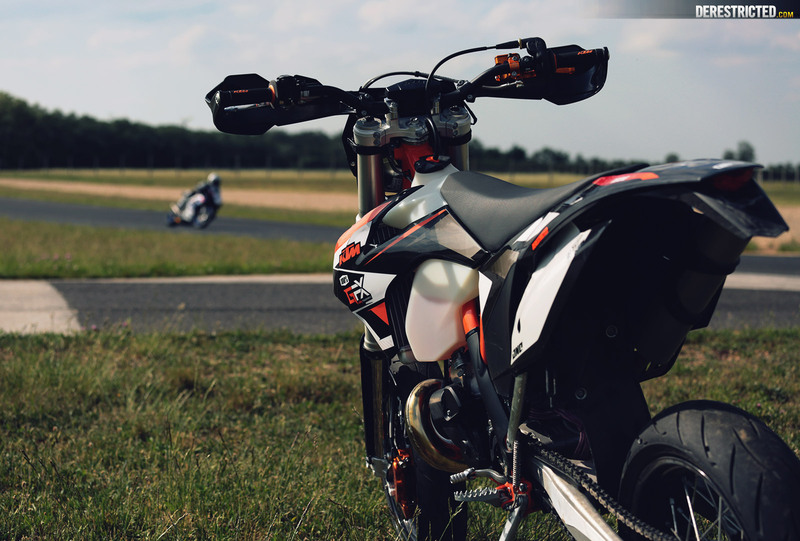 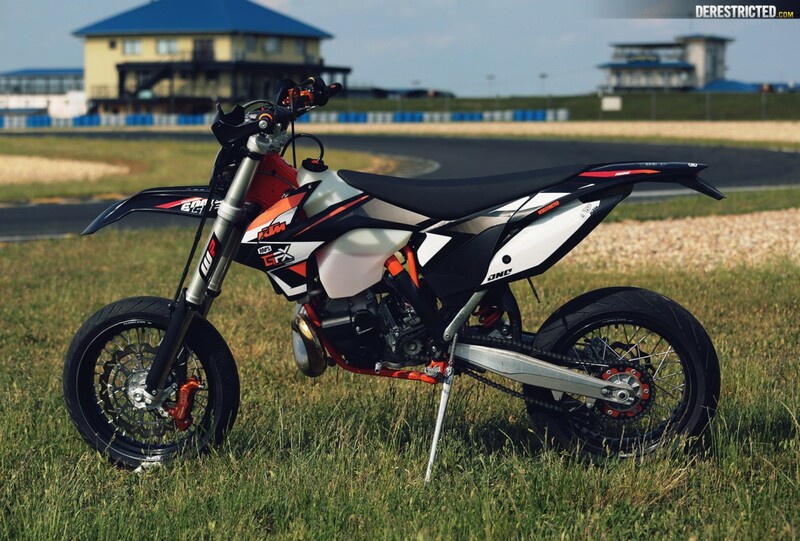 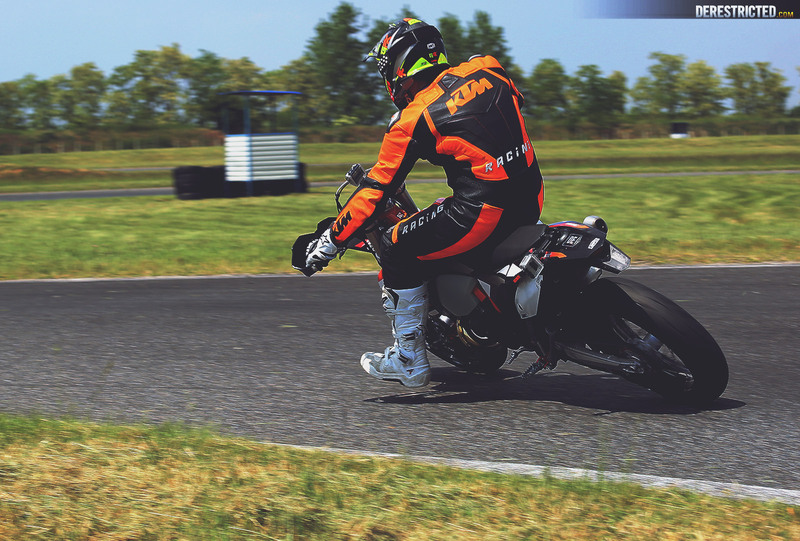 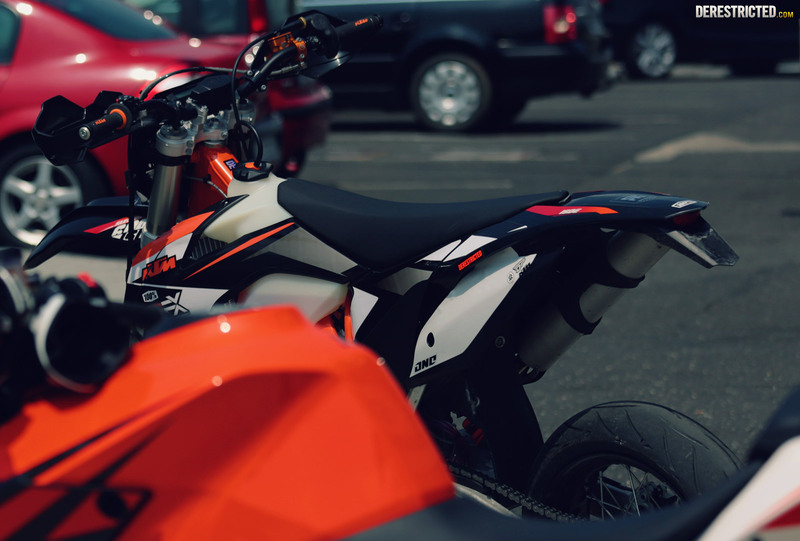 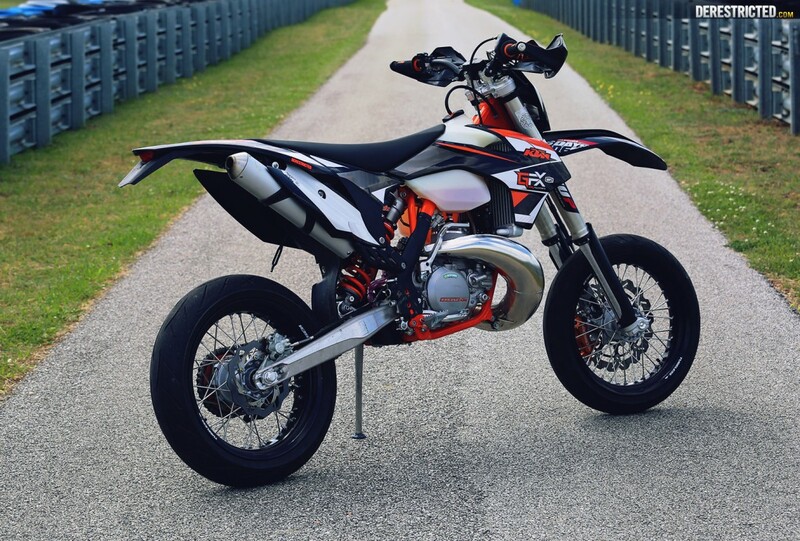 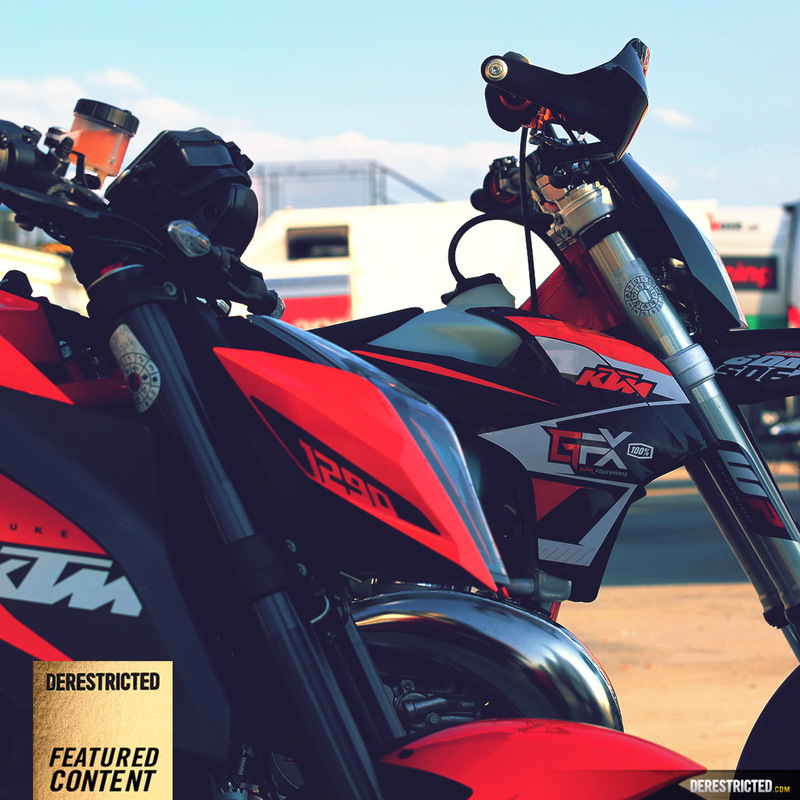 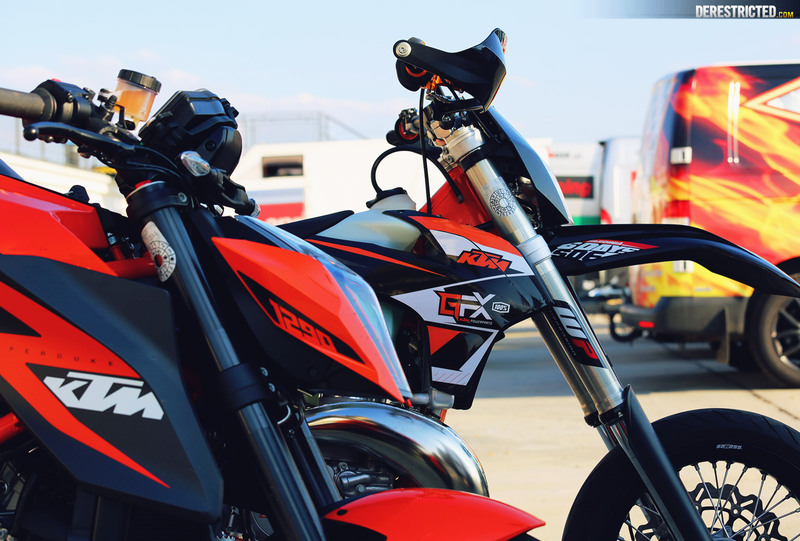 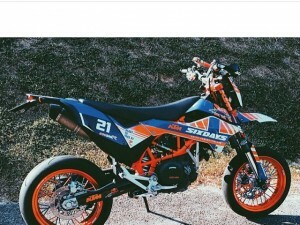 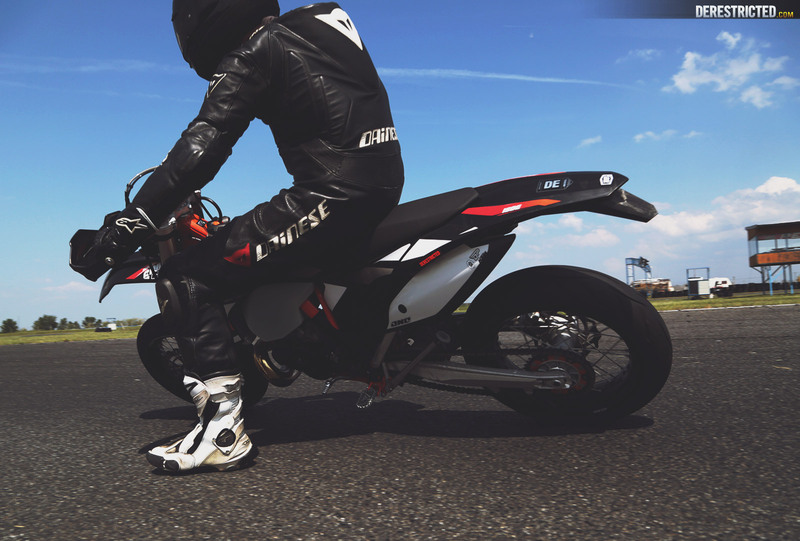 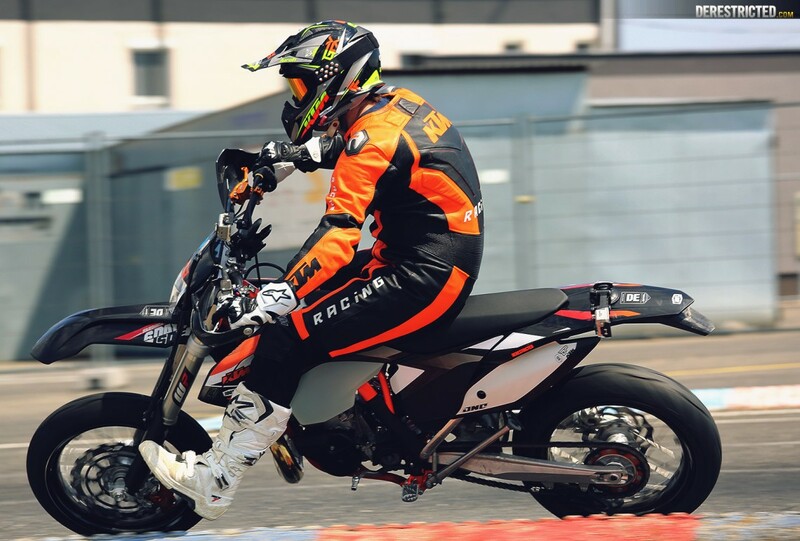 The motor is great for Enduro which it is intended for, but without having much time on it finding the right gear was sometimes tricky on the supermoto track and you would need to give a good blip of the clutch at times to get it into the powerband. 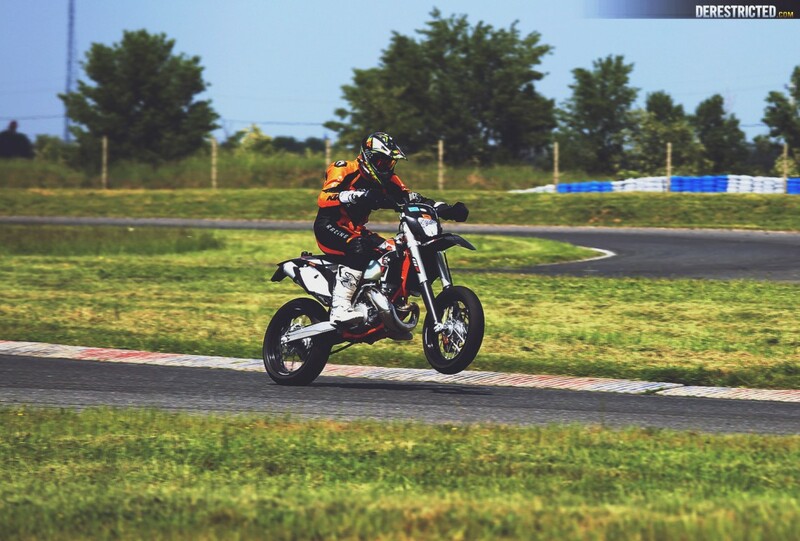 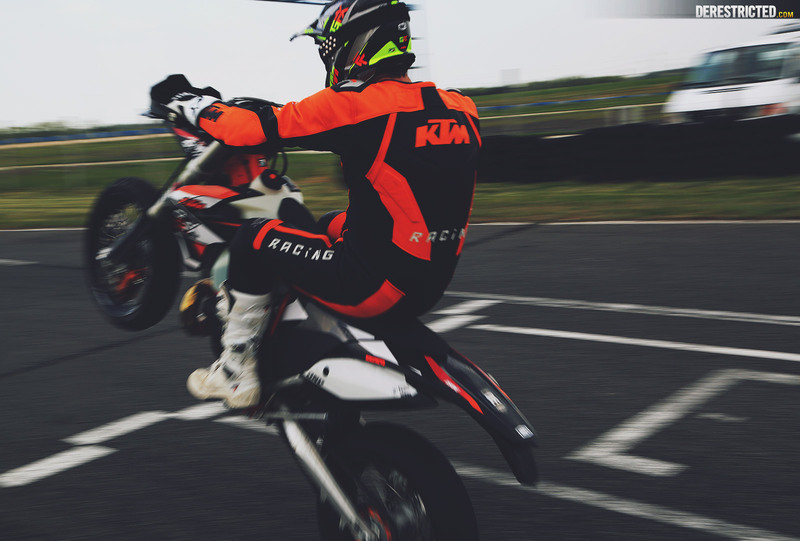 No question, like riding motocross, for supermoto 4 strokes are the way to go if you just want to go fast, but for fun factor and to have a guaranteed massive grin at the end of a session you cant go wrong with a 2 stroke either! 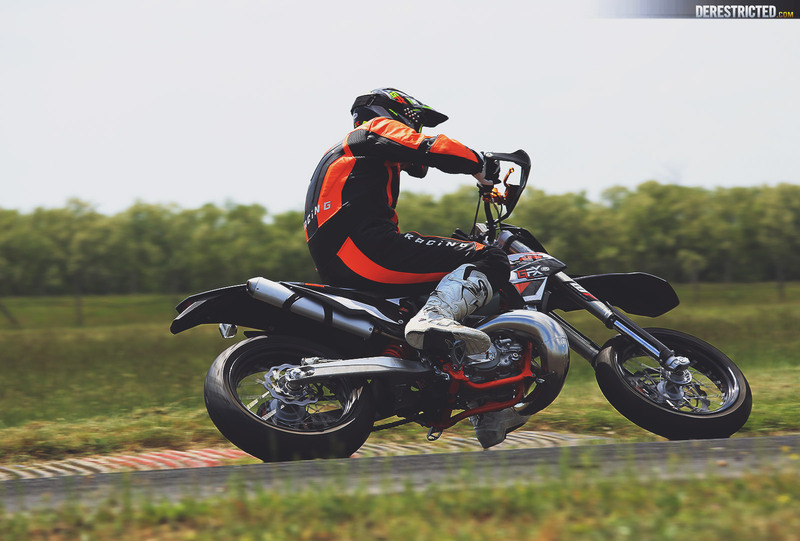 Photos and riding by Reno Wideson and PSP.